•Light weight. 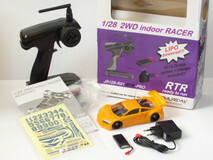 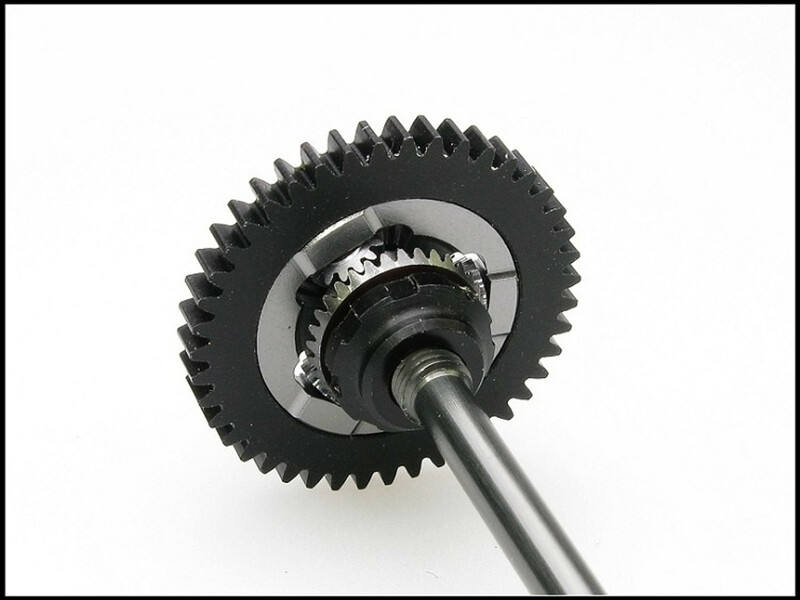 Minimal rotational inertia for fast acceleration. 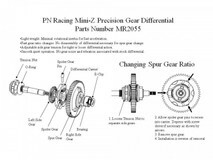 •Fast gear ratio changes. 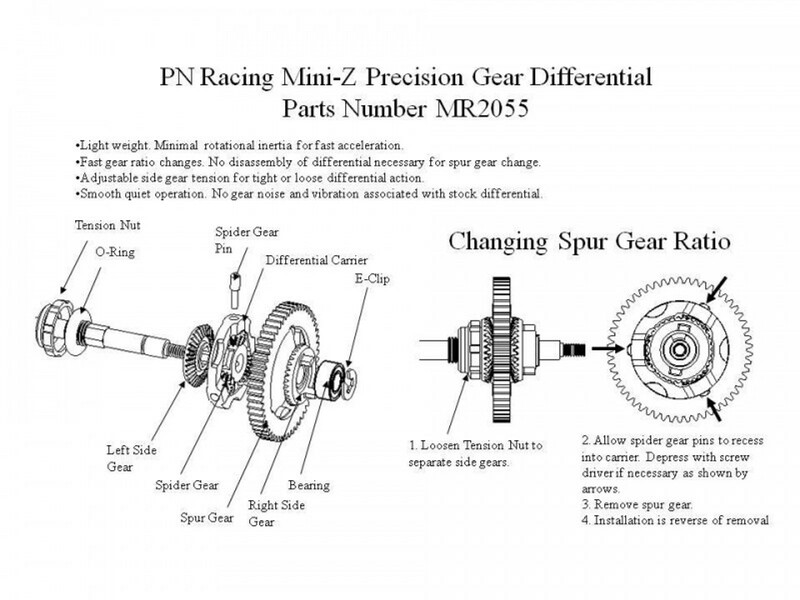 No dis-assembly of differential necessary for spur gear change. 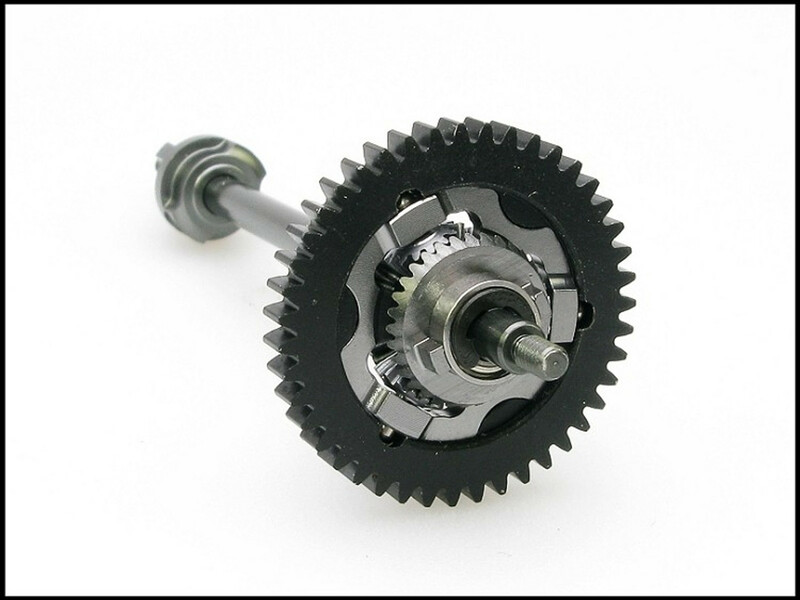 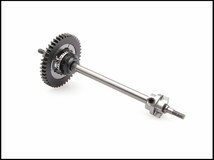 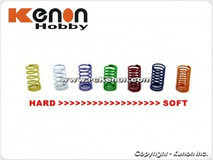 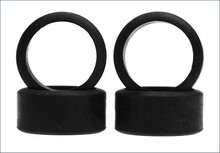 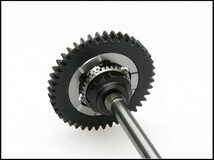 •Adjustable side gear tension for tight or loose differential action.